is the very first recipe I asked my Grandma for. 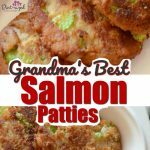 She was a classic, Southern grandma and loved her salmon patties! She also made a mean salmon stew that I completely copied and still make today. Since my grandmother was a true home cook, she also served homemade biscuits and salmon gravy. It was always a welcome meal for this comfort foodie girl. All salmon patties recipes are not made equal. What makes a salmon patty recipe really, really REALLY good? Be patient. As with almost any recipe, if you rush through the process, you’re going to end up with an average, or even below average, result. With this particular recipe, give each patty a sufficient amount of time in the frying pan before flipping and frying the other side. Fry one patty before frying the entire bunch. This is my secret to my favorite breakfast sausage patties — which I hope to post later! I always fry up one patty before frying the entire batch. Because I’m human. I may be chatting with a friend or be thinking about something else and add too much salt, forget to add the lime or even forget the chicken bouillon! Yikes! That would be VERY bad! If I fry up one salmon patty first, I can immediately tell if I forgot an ingredient! 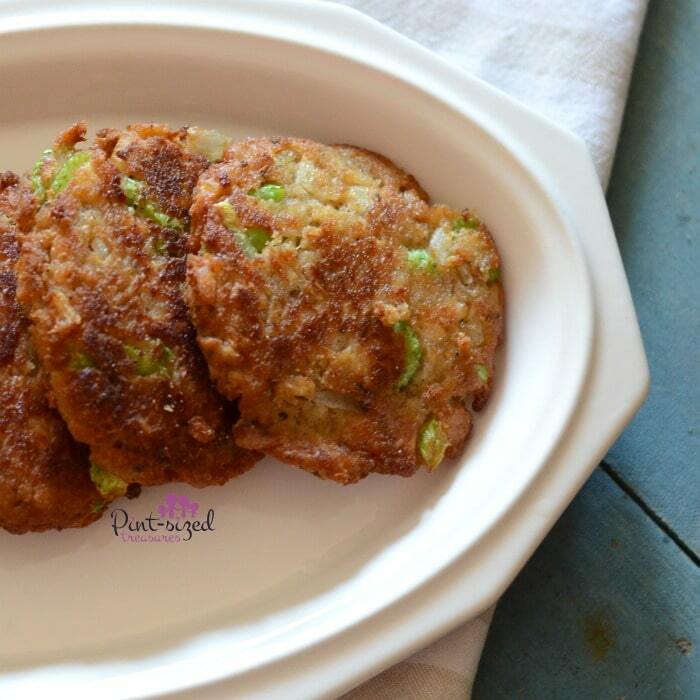 These Salmon Patty Cooking Secrets Make a BIG Difference! Add a few extras. You want to have the BEST salmon patties, right? Then you’re going to have to go above and beyond. That means taking the time to saute an onion or some celery…so you get that extra punch of flavor! And don’t forget the chicken bouillon — it makes a HUGE difference! In this recipe we used Better Than Bouillon. It’s a paste concentrate that’s equivalent to a bouillon cube or broth. You can simply stir the paste right into the salmon patty mixture. Chicken bouillon is a staple in our home. We use it in about 85% of al our recipes! It’s my secret to really adding flavor to a meal! Better than Bouillon can be used make a basic stock broth or as a marinade to add flavor to a favorite dish. You know how pre-made broths expire quickly once you open them? No worries when you use this paste! And there’s no fear about biting into gritty granules because this is a super smooth paste! Choose which one works best for your family’s taste buds! 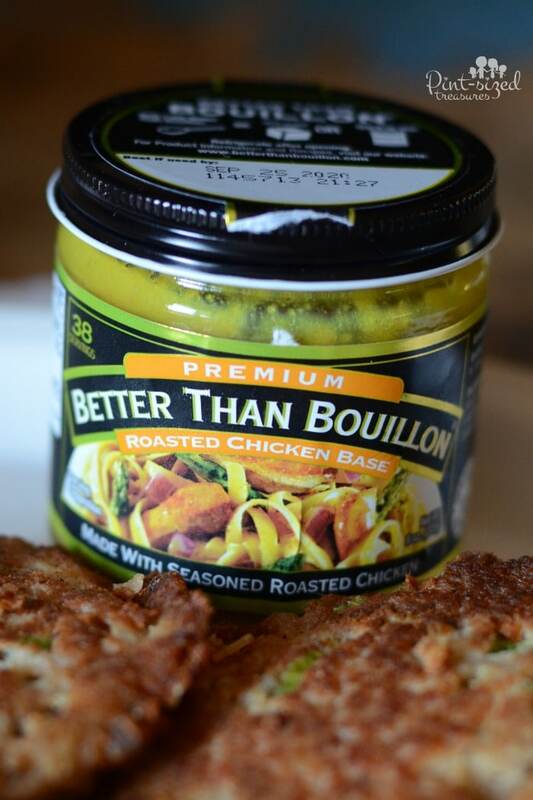 You can enter below to win prizes that chicken bouillon fans will love! 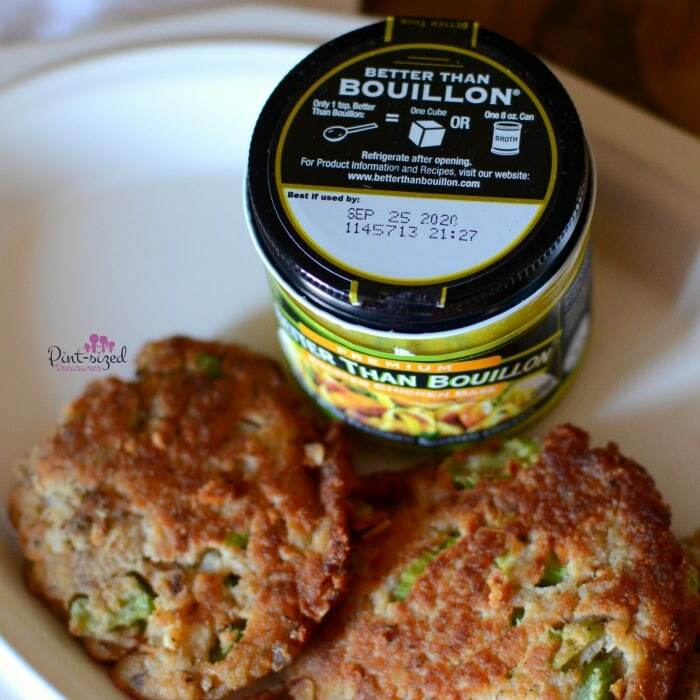 More Secrets to Cooking Salmon Patties the BEST Way! Don’t deep dry the salmon patties. I know it’s a temptation to pull out your deep fryer or to fry these in four inches of oil. But, you must resist that urge. Deep frying them rips them of their amazing flavor and tends to soak up too much oil as well. Just fry in four tablespoons of oil so they cook up perfectly. Refrigerate the patty mixture. 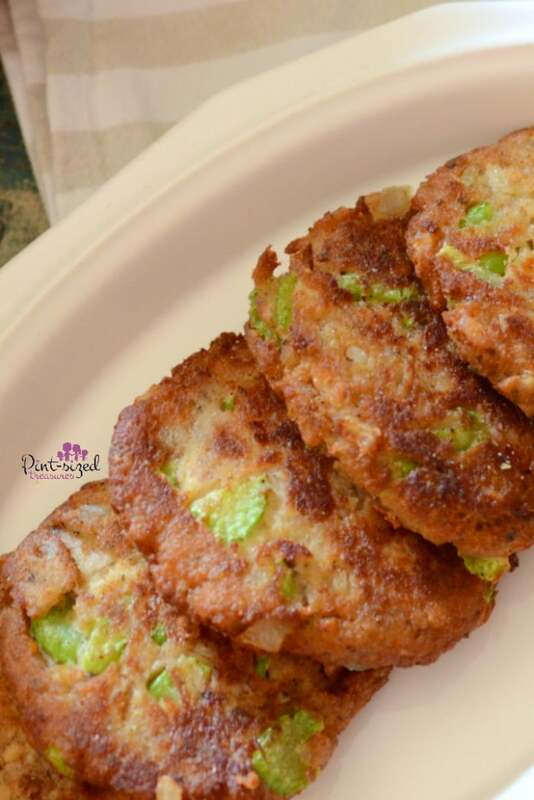 If you’re not awesome at shaping salmon patties, then place your salmon patty mixture into the refrigerator for one hour before shaping and frying. I mostly skip this step because I’ve been cooking salmon patties for 15 years. But if you’re new to this, I would definitely recommend taking the extra precaution! Instead of using bread crumbs, try making salmon patties with cornmeal. This just changes up the texture. See which version your family likes best! And one more hint from my husband’s grandmother? 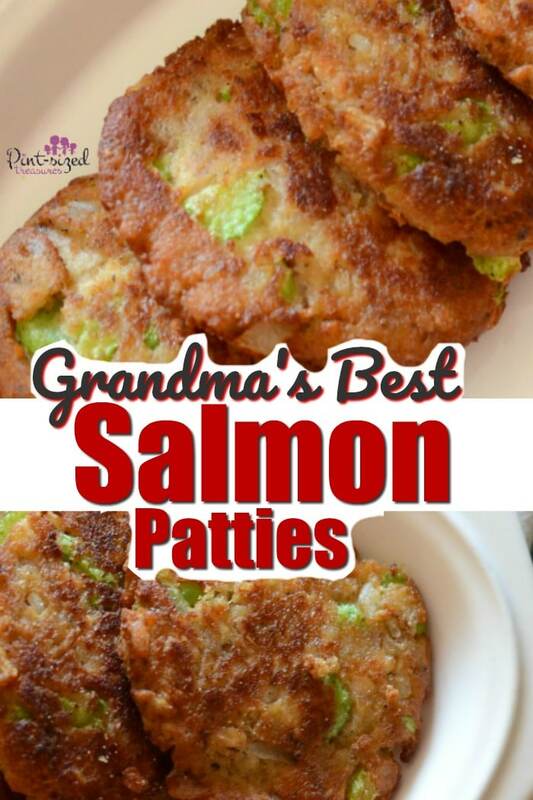 (She makes salmon patties too!) You can totally make salmon patties using saltine crackers and a 1/4 cup flour as your breading! I know you have crackers in your pantry! Now that you know the secrets to making the BEST salmon patties, don’t forget to keep your pantry stocked with all the ingredients — just in case the salmon patty craving strikes! Want more family recipes? Be sure to join our Fave Family recipes group on Facebook!